Each week I plan on sharing a picture of our cart at each store along with a breakdown on what we bought and what we paid. Thankfully we have zero dietary restrictions or allergies which helps us keep our budget on the low side. We try to stick between $80-90 each week for our family of seven. 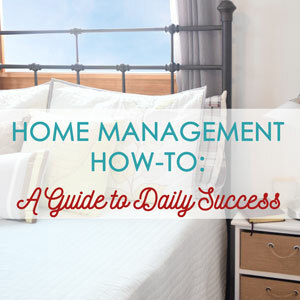 A lot of times what is on the menu doesn't directly correlate to what we buy because I like to plan our meals from what we have on hand currently and use our budget to stock up on good buys plus produce and dairy products. I'm in stock up mode right now, guys. My goal every fall is to stock up on pantry and freezer staples that can last us for several months at minimal cost and help stretch our grocery budget around the holidays. Great stock up items for us include dry beans, pasta, baking ingredients, frozen veggies, and canned tomato products. We use all of these in so many dishes that it makes meal planning even more simple! This weather is messing with me though. Here I thought we were really heading into fall but the temps are hitting summer numbers. We saw the 80s during this past week and they are in the forecast again this week. I want soups and warm me up comfort food but these temps think otherwise. Too bad, though! I'm just going to pretend it's only 60* outside and eat my soup in a fuzzy sweater. Remind me later when I'm complaining of the cold that I rushed summer out the door. Does your grocery budget need some help? Are you needing to find better ways to eat the types of foods you want on the money you have? 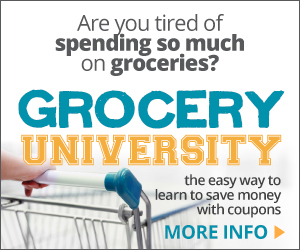 Grocery University is what you need! This is an audio course meaning you can listen while you do the dishes, fold laundry, or drive your kids around! Let Crystal Paine of Money Saving Mom help you make the most of your grocery shopping and be intentional with your budget in this digital course. I love menu planning and seeing other's dinner plans! I'm weird like that ;) As I've shared before, being in the kitchen is my happy place so I love finding meals that are new but I also never forget our favorites! These will link to the author's original recipe unless it's my own recipe/creation that I don't have a link for... yet. If you need some inspiration for how to create menu plans you can read here where I go into detail about how I make a plan for our food week and here to read how I create our grocery list. I don't make specific plans for breakfast and lunch but these are the basics I rotate between while throwing in a few other things for special days or weeks when I have the right ingredients. Breakfasts: Pancakes, Coffee Cake, Egg Sandwiches, Sausage Balls, Eggs (various ways), English Muffins, Banana Bread, Biscuits and Gravy, Oatmeal, and various types of muffins. Lunches: Leftovers, PB&J, Meat and Cheese Wraps, Cheese Quesadillas, and Mac 'n' Cheese. Dinners, however, are always planned for since they tend to take the most ingredients and prep time. Sunday: Bean & Cheese Enchiladas - These are so easy and quite frugal if you make your own refried beans and enchilada sauce. Monday: BBQ Chicken Pizza - Jamison has been BEGGING for BBQ Chicken Pizza for weeks. Since some of the other kids aren't huge fans of BBQ sauce I'll mix BBQ and ranch for the sauce on a second pizza. Tuesday: Spaghetti & Meatballs - I've made a couple batches of fettuccine for lo mein with my pasta maker but now I need to try regular spaghetti and homemade meatballs. I use my pizza sauce recipe for our pasta sauce because it's the only red sauce Micah will eat! Wednesday: Bean & Bacon Soup - This soup screams fall! I think I'll make some bread bowls for it and side salads. I'm so thankful we scored on bacon a few weeks ago to make this dish even more frugal. Friday: Homemade Pizza and Movie Night - pizza crust recipe here and pizza sauce recipe here. Saturday: Cubanos - I know, I know, we just had these in August... but they are SOOO good! And I don't like mustard! We are still working on our stash of the incredible smoked pork from our church which helps this meal come together incredibly fast. Do you want to get your kids in the kitchen with you? 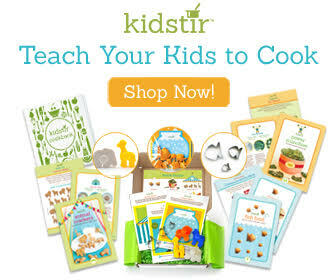 Check out Kidstir! They offer a monthly subscription box with kid friendly recipes and tools so you and your child can work side by side in the kitchen creating healthy meals and fun memories. You can watch my unboxing video of our first kit here.